This may be construed as entirely gratuitous, posting a separate thread on my own newly acquired ’72 Fuji Finest, but I felt it was appropriate in recognition of its long service and noble character. 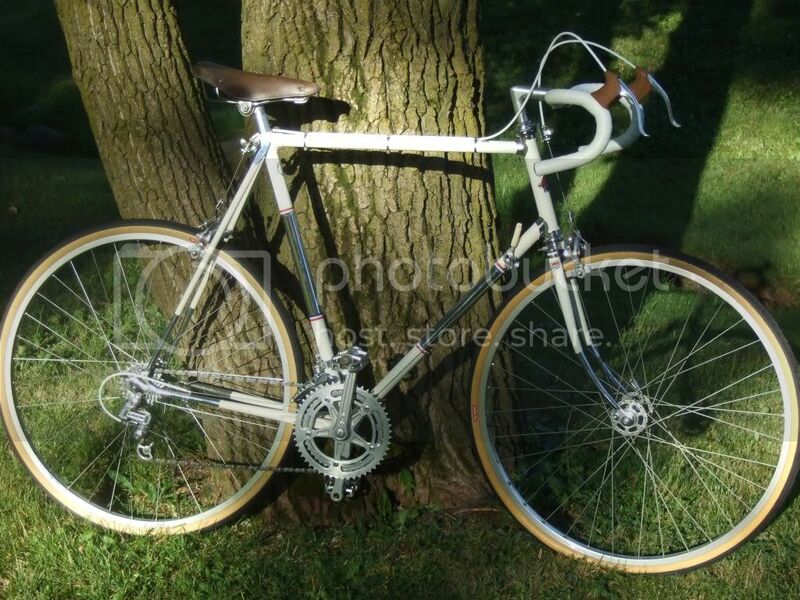 This bike was certainly well used, but remarkably well-maintained and cared for by it’s two previous owners: The first, who bought it new in 1972, and the second, who purchased it for $400 in 1983, and sold it to me only because he could no longer ride it. 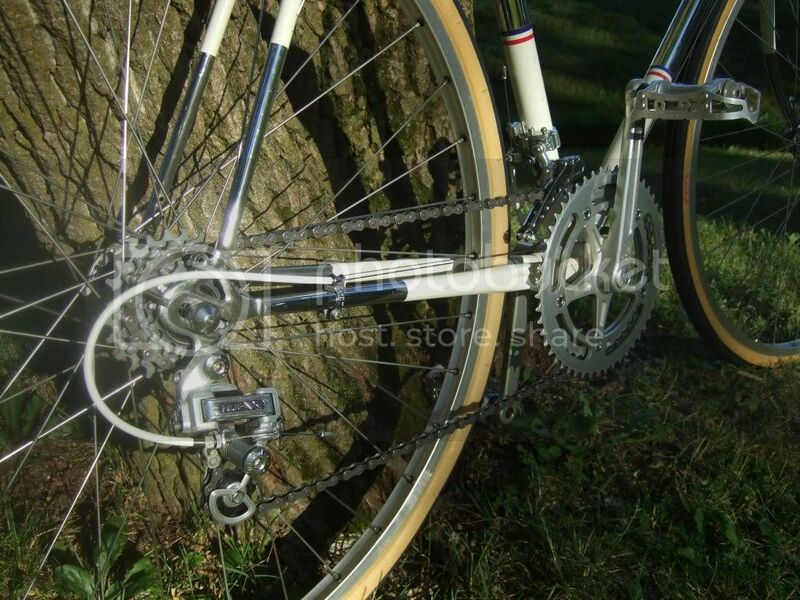 I swapped the tires for gum walls strictly for aesthetics, and replaced the cables/housings, chain, etc. The only thing now lacking is the frame decals. - I don’t know why they were removed, but (at the risk of incurring some BF purest wrath) I decided to forgo new ones given the expense, and the fact that period correct, horizontal-scripted replacements are not available anyway. 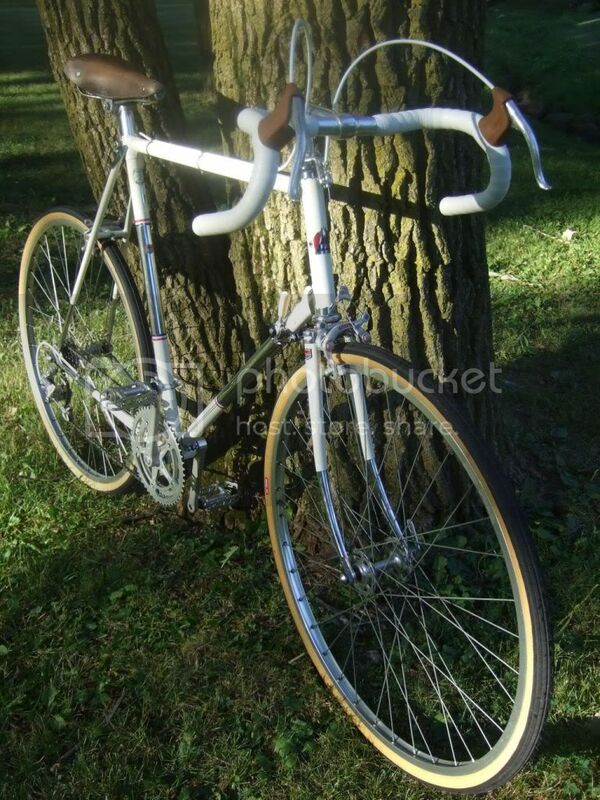 Instead, I’ve ordered a white bottle cage for the down tube for some visual interest – but I’m still waiting for my ship to come in from Niagara, and thus it is absent from the photos’ following. The frame geometry is unusual. At 63 cm, the bike is a tad too TALL for me, but I found on my initial test ride that the 54 cm TT was too SHORT. (I am certain that it was designed in Japan decades ago using a Barbie doll as an ergonomic model). Fortunately, I had a spare stem on hand to stretch that TT another 40mm or so, and the result is a very comfortable fit. At speed, it feels very stable, and yet the ride is very supple – I can only compare it to my Raleigh SC’s for road manners (- a high compliment indeed). The changers are Fuji-branded Suntour Vx (my favorites) and the frame is fully chromed, double-butted chromoly. Originally, the bike would have had tubulars, but the PO had Weinmann concave clincher rims laced to the original Sunshine hubs long ago. It also has Weinmann centerpulls, which IMO, are superior to the ubiquitous DiaCompes. 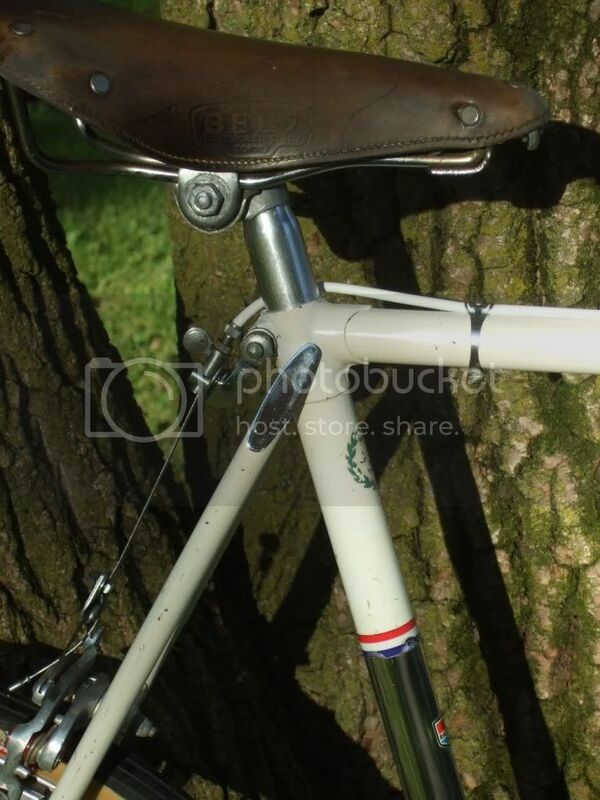 -Lastly, I substituted some wide Randonneur bars for the original narrow drops. The net effect of all of this is the sense that one is riding on top of a big white Cadillac. Bikes: 76' Centrurion Pro-Tour, 86' Specialized Rock Hopper, 88' Centurion Iron Man, 89' Bruce Gordon "Hikari", 95' Rock Hopper Ultra. Find More Posts by Chris W.
This just about broke my heart when I first heard about it. A blue model had been very high on my wish list, but I need a longer TT. Very nice looking bike, BTW. 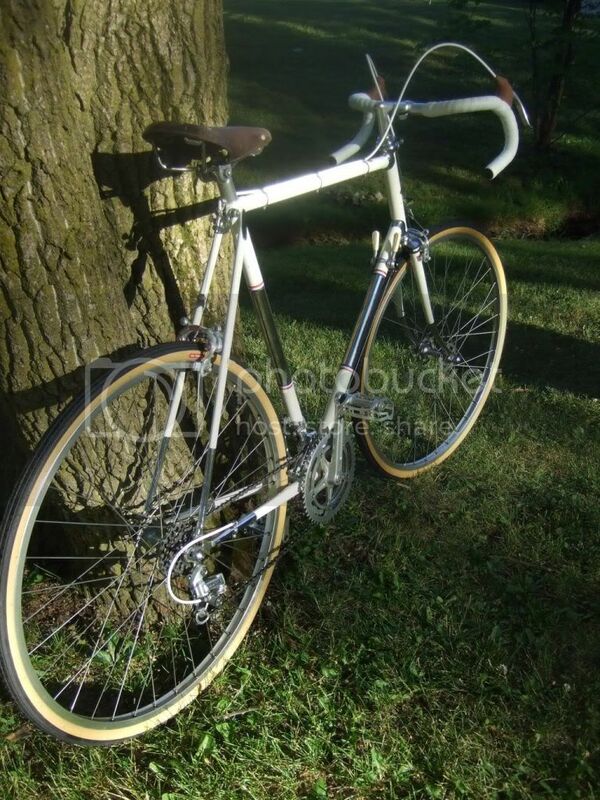 Is the Fuji Vx RD original to the bike? As far as I know the rear DR is original, or at least period correct for a high end bike. Originally Posted by Chris W.
Thank you Chris W ! nice finest. Very weird that the top tube is that short. But my cousin is 62 and has extremely long legs but a very shoer torso. So i'm sure it will fit some. I think the Suntour Vx came along a little later. 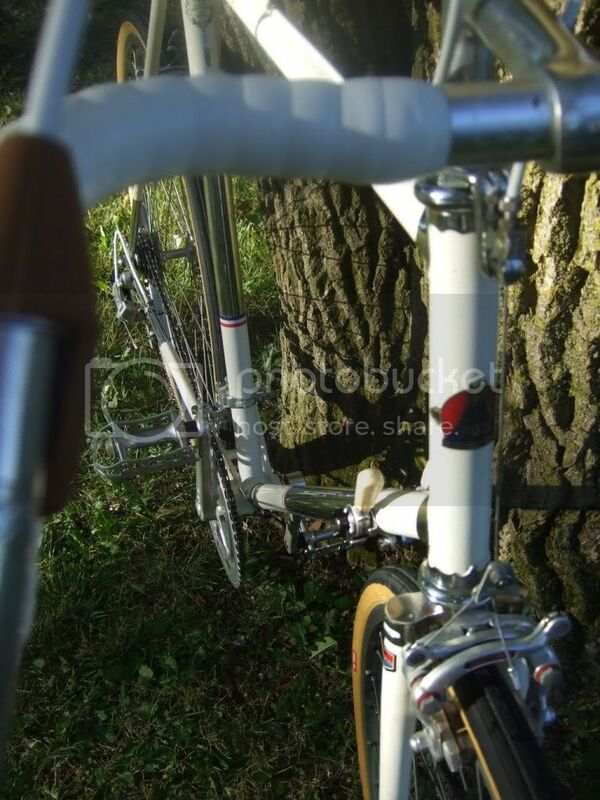 IIRC, my 1972 Fuji Finest had a Suntour V.
The early ones had no top tube decal, so you may only be missing the downtube decal, no big deal. Very cool bikes all around, but you have to be willing to go with that top tube issue - this was before they started doing proportional sizing, so it isn't really just a Fuji Finest issue or anything. That one is a very nice example, paint looks terrific. On mine, the white paint was getting a little bit chalky w/age, don't know if that is a common problem. 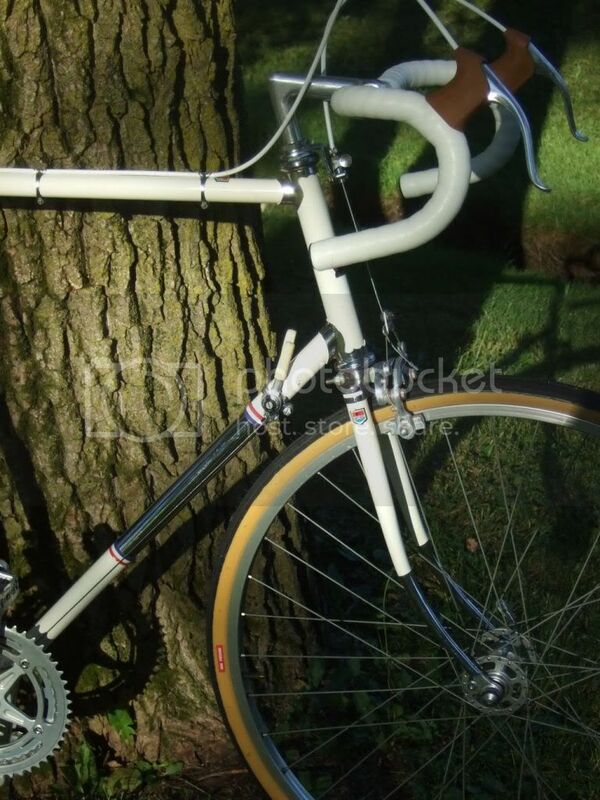 Very nice, classic touring bike! Auchencrow, check with JR on the Finest decals, he did a full set for my 72/73 a few years ago .. It has the shortest TT in my stable. By contrast, my Peugeot U-08 has very different proportions, and has one of the longest at 60cm. - With the little tweaks though, both are very comfortable rides. Vintage Maillard High Flange Hubs, are these any good?